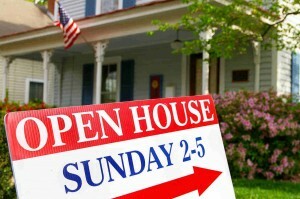 An open house is vital to selling any home so let’s do it right! Many people do not know what to expect when listing their houses for sale. If you have never sold a home before or just want a reminder of what to expect. Let’s take a look at what you can expect when listing your house. The first thing you should do when listing your house for sale is to contact an agent. Agents are not as hard to find as you think. Ask your friends and families who they have used in the past and would trust to sell their home. Meet the real estate agent at their office to talk about prices, commissions, and marketing strategies. Once you have signed a contract, it is time for some accessories. A few days after you have signed a contract and the real estate agent has viewed your home, you will notice a sign in front of your home. This sign will announce to your neighborhood and passers-by that your house is for sale and ready for new owners. You may also have a lockbox appear on your front door or porch railing. This lockbox will allow local agents to access the house when you aren’t at home. While it may seem unsettling to allow agents you don’t know in the home unattended, it will allow your home to be viewed without having to schedule showings at a moment’s notice. Open houses may seem like a thing of the past with virtual tours, pictures, and other marketing techniques available online. But there really is no substitute for seeing a house up-close and personal. Open houses allow other buyers to visit the house to see if it is a good fit for them. Your real estate agent will probably have a “broker’s” open house during the week for agents in the area and a traditional house that is open to the public on a weekend. Make sure your house is neat and ready for its public debut before putting it on the market. It is not unusual for you to see the most traffic during the first two or three weeks after listing your house. But it is also not unusual for the traffic to die down after that time period. An average DOM (or days on the market) cycle can be between 60 to 90 days, depending on the market and your area so be patient. Just like the saying “Rome wasn’t built in a day,” no home was ever sold in a day either. Be patient and remember to talk to your Simply Referable agent about some selling strategies. For more information on working with us, call Simply Referable today!